1.2m, 1.6m, 2.0m and 2.5m models build on that success.To make the machines more user-friendly for golf the weight and balance have been analysed, resulting in a lighter, steadier experience. Solid locking pins now offer greater consistency and the overall performance is improved due to the re-designed patented UNIVERSE® rotor and angled cross conveyor. The new angled cross conveyor has been introduced to move material evenly with perfect belt tracking, whilst the weight of the machines has been reduced using a removable 100kg that greatly improves the overall weight balance. 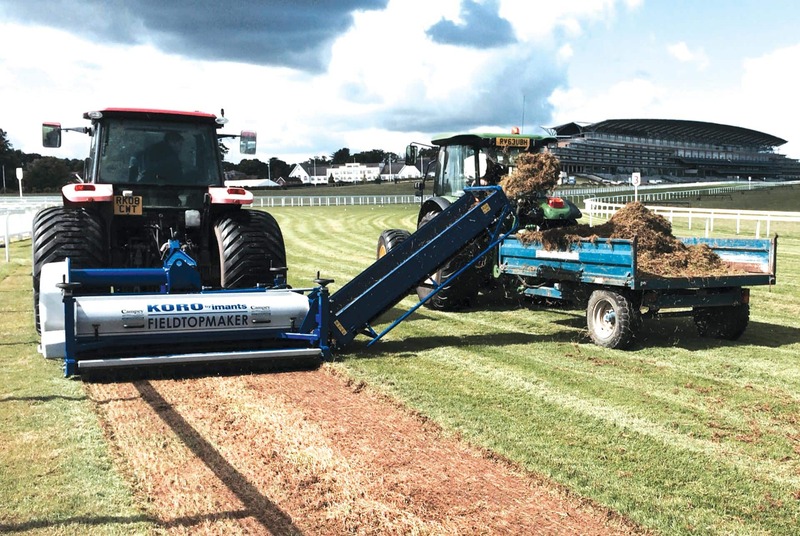 This redistribution of weight means a much smaller tractor can be used to run the KORO® FIELDTOPMAKER®, because the centre of gravity has been shifted towards the tractor making it easier to lift. Even when the weight is removed the machine still has improved balanced against previous models. Maintaining the new range of KORO® FIELDTOPMAKER®’s has also been enhanced to ensure working reliability. A modular set-up allows the machine to run without belts and the strong state of the art driveline is maintenance free. “The versatility of the machine matches the versatility of our pitches. It’s a key piece of equipment for us during the renovation period and the Universal Rotor has a lot of applications that mean we can work on the natural, fibresand and Desso pitches. A behind-the-scenes look at how the Cardinals grounds crew is converting Busch Stadium into a soccer field using the Koro Field TopMaker ready for Manchester City FC v’s Chelsea FC. 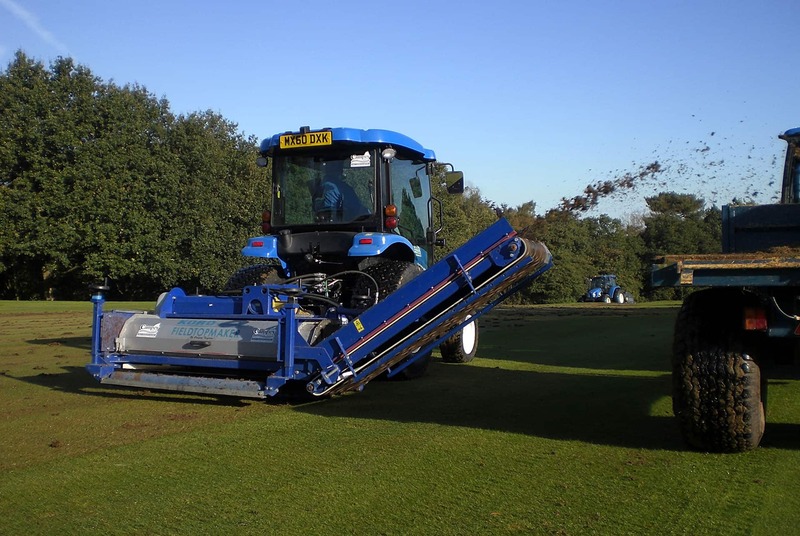 Campey Turf Care Systems have been at the fore in developing the Koro by Imants Field TopMaker into a system that can be used on a wide range of surfaces for a number of different renovation practices. “Koro-ing” is now an established renovation practice worldwide! Please take a minute to read more about how “Koro-ing” has transformed turf renovation. 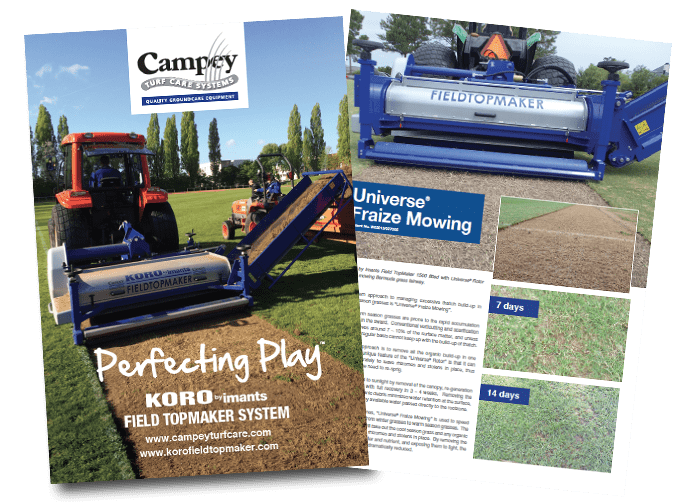 Download the Koro Field TopMaker Story here. Both AAA baseball stadiums in sunny Nevada, utilized the practice in mid- September. 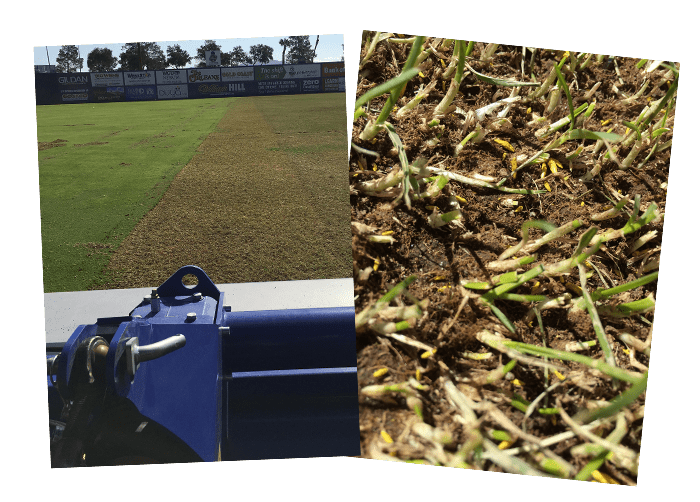 A collaborative effort between Sports Turf Services and Natural Grass Advisory Group® carried out the work and has provided agronomic support to the hardworking field management teams from the early stages of fraze mow preparation ongoing through full grow-in.